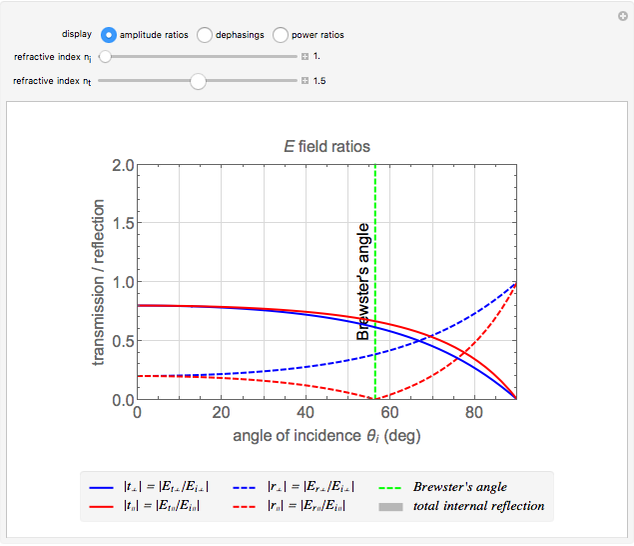 Fresnel equations describe how light is transmitted and reflected when crossing the interface between two dielectric media of differing indices of refraction. 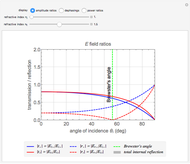 This Demonstration shows how the transmission and reflection coefficients both depend on the angle of incidence between the light beam and the normal to the interface and on the light polarization, which can be either parallel (&DoubleVerticalBar;) or perpendicular (&UpTee;) to the plane of incidence. 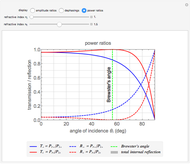 You can display either the electric field amplitude ratios and their dephasings, or the power ratios. You can change the refractive indices of the first ) or second ) medium and observe how the coefficients change. When , reflection increases at large angles and tends to 1 for 90°. 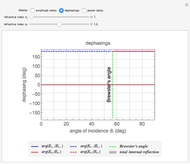 When , you observe total internal reflection when the angle of incidence is bigger than the critical angle . In this case, all the power is reflected and the transmitted field is an evanescent wave (instead of a traveling wave). 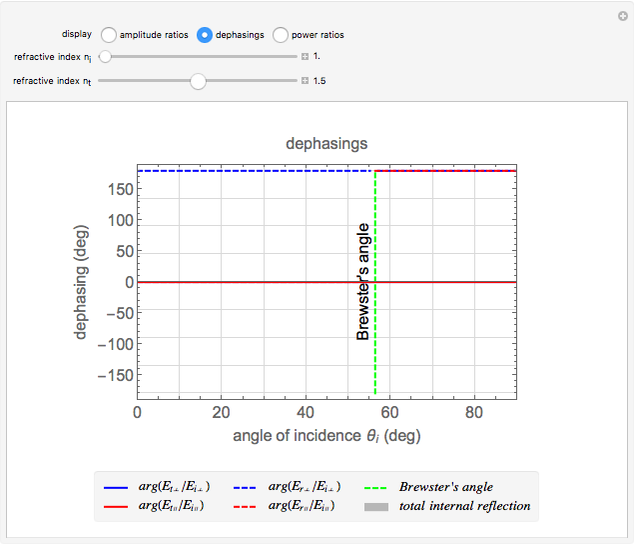 Another angle of interest is Brewster's angle , for which light with parallel polarization is fully transmitted; thus reflected light will be polarized perpendicularly to the plane of incidence whatever the polarization of incoming light. 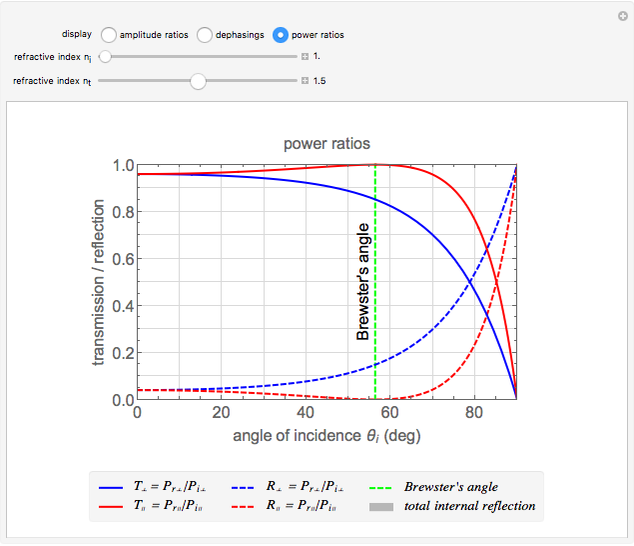 Note that in the case of total internal reflection, the transmitted electric field amplitude is different from zero, but it corresponds to an evanescent wave (not a traveling wave) and as a consequence the transmitted intensity and power are both equal to zero. E. Hecht, Optics, 4th ed., Reading, MA: Addison–Wesley, 2002. Gianni Di Domenico (Université de Neuchâtel) "Fresnel Equations"